Meet Matt Mentele, agent for Atomic Music Group. In this episode, sit back, close your eyes and enjoy Matt's soothing radio voice as he talks about the (sometimes) rock and roll life of an agent, the city with the greatest music community (hint: we live in it), the very serious problem of douchebaggery over running your favorite bars and dance parties in Chicago. Want to get to know us? 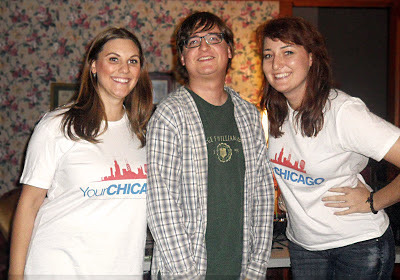 E-mail yourchicagopodcast@gmail.com or call our Google voicemail at 773-234-5573.
its very serious problem of douchebaggery over running your favorite bars and dance parties in Chicago.